Campus Snapshot: They do things big in Texas. So when the state’s largest public university decided to enter the legal education fray, it did so on a scale intended to succeed. It acquired the former Texas Wesleyan Law School for $73M in 2013, and has invested tremendous resources in the Ft. Worth-based school since, peeling back the typically diffuse law school focus and lasering instead on international law, intellectual property and dispute resolution. Keep an eye on this young school, which may be a sleeper bound for success. Driving to Texas A&M University School of Law in downtown Ft. Worth, I was a little confused. I’d read about its takeover of the ailing Texas Wesleyan, and a controversy with its alumni who wanted to be officially recognized as Aggies. And really, who doesn’t want to join the vaunted and vast network of graduates noted as the 12th man – who apparently worship a collie named Reveille IX and have created their own, modern-day version of Lords (and Ladies) of the Rings. As I pulled up outside the school, not much belied the perception of yet another ho-hum law school looking to find a way to capture enough students to stay in business and provide graduates with the opportunity to leave Odessa behind for a decent job in a small or midsize firm or government service. And then I went inside, and sat down with Dean Andrew Morriss and five of his key team members. And I realized – perhaps like many prospective students – I knew absolutely nothing about this school and what it’s up to. Morriss is a passionate and dedicated legal education leader who’s spent nearly 25 years at Case Western Reserve Law School; University of Illinois Law School; and the University of Alabama Law School. He’s drinking the juice from a growler-size Texas A&M mug. And you know what? I think I buy it. Why, I asked, did he or Texas A&M think the U.S. needed another law school? The near-universal conclusion about law schools in the past decade has been that some of them need to close their doors. Morriss doesn’t see it that way. “First, as a land grant (and sea grant and space grant!) school, we have a special mission to contribute to Texas, the country, and the world by helping improve our legal system. It also gives us a mission to recruit first-generation students and those from underserved communities,” he explained. And, yes, he noted what was obvious. The school offers a sea of maroon – and did we mention Aggie rings? His wife attended A&M, but they were broke students at the time so took a pass. Flash forward 30 years and Morriss surprised her with a ring when his students received theirs. The Dean has corralled former colleagues to join him in building not just a new law school, but also a great law school for a new era of legal education. Among them is the estimable Charlotte Ku, an international law specialist who’s creating the school’s platform in global law, building on a core focus of the larger Texas A&M University. It is their intent that in the near future, every A&M law grad will have an international experience before graduating. He’s also wooed existing and knowledgeable professors and administrators, as well as the leadership of the College Station-based university, which is funding the school’s effort to create a peer law school to the powerhouse University of Texas Law School at Austin. “I couldn’t ask for a more supportive university – from Chancellor [John] Sharp and the regents, President [Michael K.] Young, and Provost [Karan L.] Watson down to individual faculty and staff. The university has embraced the law school and made the investments needed to allow us to hit the ground running,” Morriss said. In addition, he pointed to the law school’s partnerships and collaborations with some of the key departments in College Station – Agriculture, Architecture and Urban Planning, Business, Engineering, Liberal Arts, and the Bush School of Government and Public Service. A law professor, for example, will teach a course in Ft. Worth, but also teach once a week in the Ag Department. These partnerships, he said, “have enabled us to make extraordinary hires of faculty, teach innovative courses, and build exciting opportunities for our students. Those resources also have allowed him to radically change the school’s approach to recruiting and admissions. It is quite surprisingly now one of the toughest schools in the country to win admittance to, with a 19.7 percent admission rate. The school cut its class size, as well as its already reasonable tuition for Texas residents (the latter part of a transition from a private school to public). In addition, the school offers a strong partnership with the Tarrant County Bar Association, introducing students to networking and job opportunities early on, and also pays for BAR/BRI prep for its students throughout their time at law school and after graduation. The overhaul came after Morriss and his team studied prior classes and concluded there was no role for a new law school without a specific mission. Today, they are looking for and very actively recruiting a specific student profile. “We’re looking for Aggies! That is – we want people who are committed to using the resources we’ve assembled to acquire the skills they need to make the world a better place. Being a land grant school gives us a special mission to do that. So, we want smart, hard-working students with ambition and who are looking for more than some classes to attend and exams to take,” Morriss said. 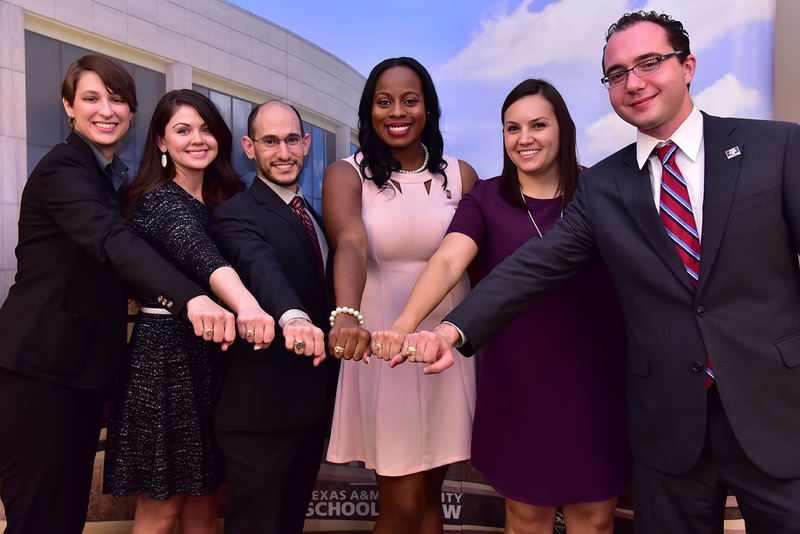 The roster of A&M law alums is modest at this point, but inspiring nonetheless. They include Joakim Soederbaum of Kelly Hart; Eniola O. Akinrinade of Littler; Carla Green of Haynes Boone; and Ramiro Villarreal Guerrero III of the U.S. Air Force JAG Corps in Germany. Choosing Texas A&M Law School may be a bit of a leap of faith for students at this point, but for those who fit its core focus on IP or international law – not to mention Aggie undergrads who want to be part of the law school’s future – it’s definitely one to consider. We also found the enthusiasm of its team – from Morriss to the receptionist who greets you when you walk in, and the security guard who watches over you as you head to the parking lot – refreshing. Folks would have said A&M was crazy to start a law school in 2013. But sometimes, crazy is not a bad thing.